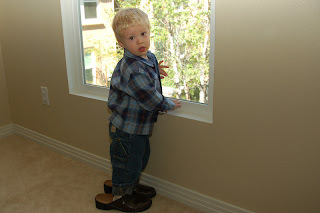 Today as we cozied around the house, casually getting ready for our Saturday errands as a family, Dylan paused to enjoy the view out our bedroom window. His delight in the small things is such a joyous reminder for us to do the same. Later we talked about how important it is to find those moments of peacefulness amongst this bustling, busy city we live in. A city that Ryan reminded me today that actually holds over 10 million people. Funny how we've ended up at opposite ends of the spectrum when it comes to where we live: you in a bustling city of over 10 million looking out the window at spring blossoms; me in the quiet country outside a village of 138 looking out the window at 6 foot drifts of snow! It calls to mind the quote, "Bloom where you are planted." 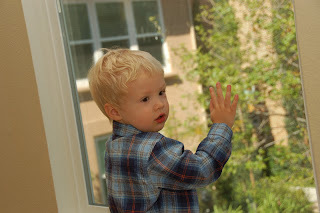 I love seeing how you enjoy all the little things in life through your blog.